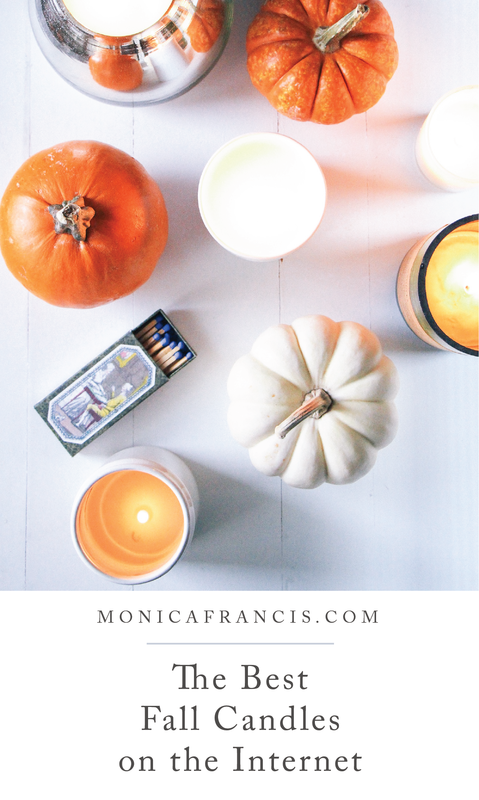 Scented candles are an essential for me, especially as I’m pulling fall clothes out of storage and my weekends get cozier. You’ll find them all around my home : on my on my nightstand, in the bathroom, on my desk, in the living room. As much as possible, I look for candles that use clean-burning wax, are handmade, and smell fantastic. Here, I’ve rounded up my absolute favorites, with plenty more to shop in the widget below! P.F. Candle Co. No. 1, $25: pumpkin with brown sugar, cinnamon and nutmeg. Byredo Bibliothèque, $40: velvety paper scent with plum, vanilla and patchouli. Rewined Spiked Cider, $29: apple, cinnamon, clove with a splash of buttery rum. Linnea’s Lights Cashmere, $34: soft and cozy blend of patchouli, vanilla, lime. Diptyque Feu de Bois, $65: open log fire, smoky, a hint of frankincense. Nest Pumpkin Chai $42: pumpkin, spicy chai, cardamom, ginger. Anya Smells Coffee, $57: smooth espresso with cardamom, frankincense and amber. Paddywax Tobacco + Patchouli, $26: vanilla tobacco and patchouli with cinnamon. Cire Trudon Solis Rex, $95: inspired by the Hall of Mirrors at Versailles; fir and cedarwood with incense, eucalyptus and orange.